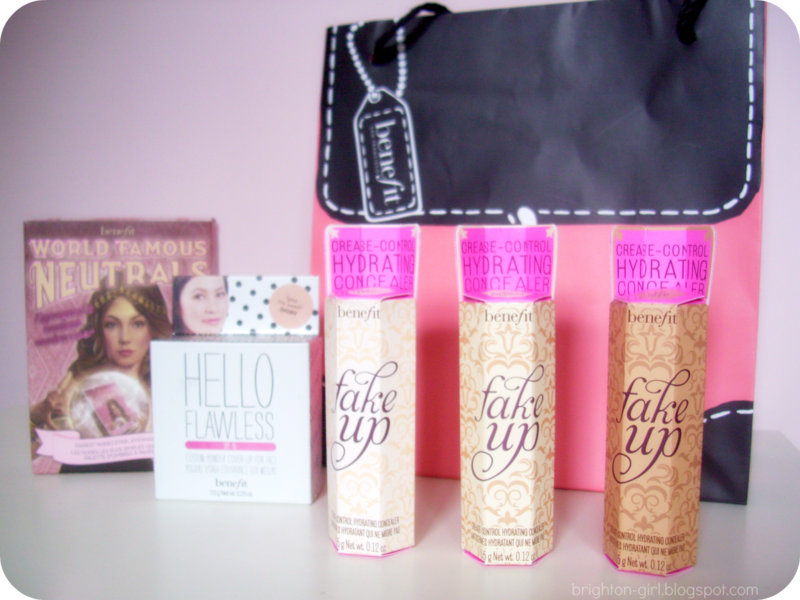 Last night I attended the Brighton launch of Benefit's Fake Up concealer*. It was my first event and I was really excited as Benefit is a brand that I've grown up with. I met lots of lovely bloggers from the Brighton area and learnt lots about Benefit's latest offering from head make-up artist, Lisa Potter-Dixon, and the lovely Benefit digital team. Fake Up is a fantastic hydrating concealer that won't cake or crease. 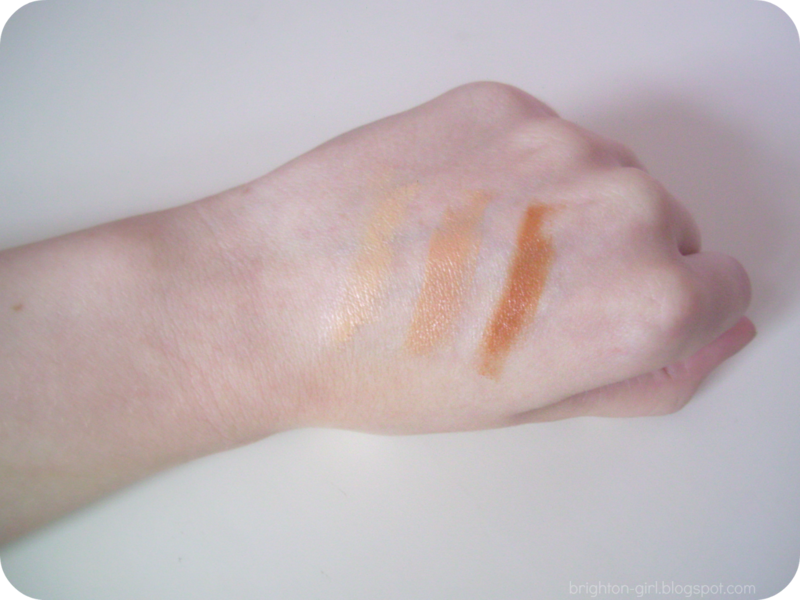 The center of the stick contains the colour and there are three shades; light, medium and deep. The outside of the stick is filled with moisturising apple seed extract and vitamin E. It's a really great product for brightening the under eye area and once applied, the concealer is soft, silky and blends fantastically. During the event, Lisa gave a demonstration and the best way to apply Fake Up is to draw a 'v' under the eye and blend with your finger. I was impressed with how lightweight Fake Up feels and, so far, I'm so pleased by how long lasting the effects are. 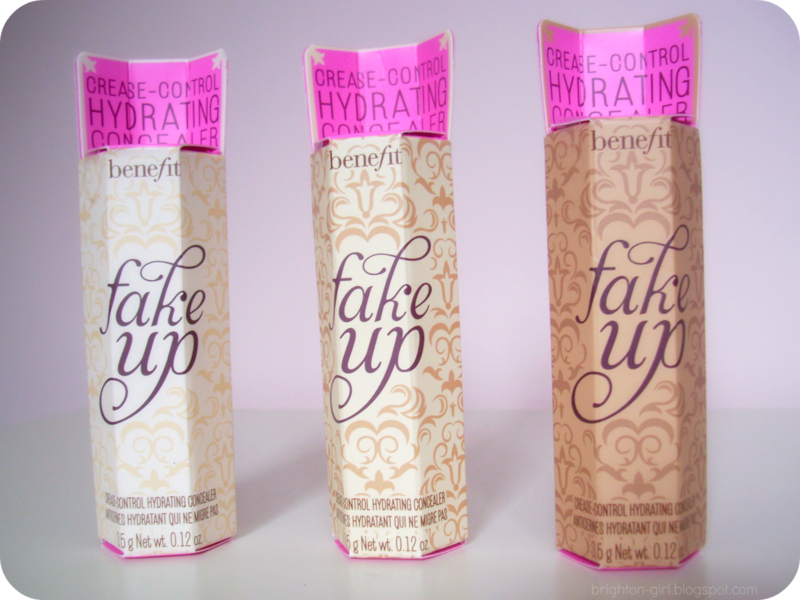 I'll be writing a more in-depth review once I've had a chance to test out Fake Up properly. I also have Benefit's new Hello Flawless powder foundation* and World Famous Neutrals eye shadow palette in Easiest Nudes Ever* to try out. I'm really looking forward to playing around the eye shadow palettes as the cream colours look gorgeous! Thank you so much to Jo, Rachael and Lisa for inviting me to such a wonderful event! Fake Up will be launched in the UK on 30th March, priced at £18.50. What do you think? Are you a Benefit fan? I've got the pale one on the way in the post - I can't wait for it to arrive!